Inside Canada Goose's Calgary Flagship at the Chinook Centre. Canada Goose is continuing its retail expansion with three new store openings in North America, adding to its seven stores across the world. Slated to open this fall, the stores will be located in Short Hills, New Jersey, and in Canada, in Montreal, Quebec and Vancouver, British Columbia. In New Jersey, the store will open at The Mall at Short Hills, a fashion destination in the suburban metropolitan New York area, while in Vancouver, the Canada Goose store will open in the CF Pacific Centre, and in Montreal on Ste-Catherine Street in the heart of the city’s downtown core. The stores will mark the Canadian company’s fourth U.S. location and third and fourth in Canada since first expanding into retail in 2016. “The experience of shopping in a Canada Goose store is both a walk through our history and an opportunity to discover how we continue to innovate for the future,” explained Dani Reiss, president and CEO, Canada Goose, in a news statement. The new stores will each include aspects that reflect the local aesthetics of each city combined with Canada Goose’s heritage and Arctic-inspired environment. 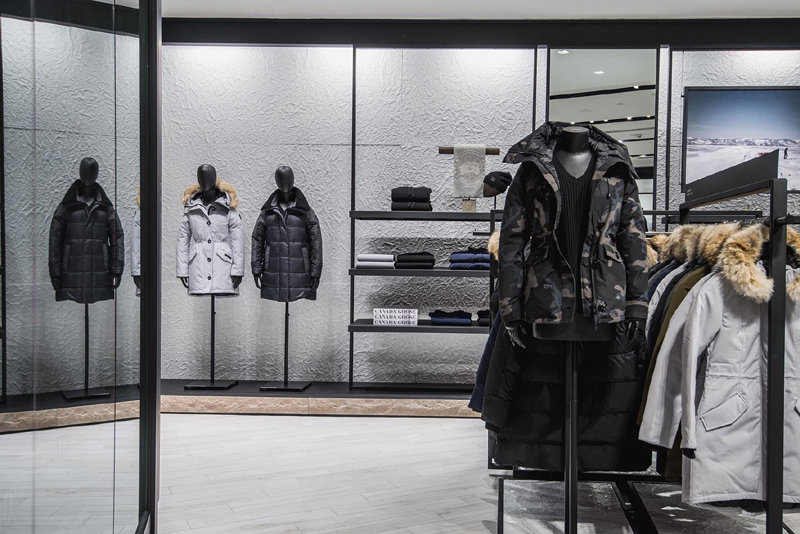 The Short Hills and Montreal locations will be the first locations in North America to offer a “cold room” where customers can test the brand’s iconic parkas in temperatures as low as -25 Celsius (-13 Fahrenheit). Last month, Canada Goose announced plans to expand in China with the opening of two new stores in Beijing and Hong Kong, along with a new e-commerce partnership with Tmall, China's largest platform for brands and retailers. The based company currently has stores in London, Toronto, New York, Boston, Chicago, Calgary and Tokyo. It has said it plans to have up to 20 stores globally by 2020. Canada Goose was founded in 1957 and is headquartered in Toronto, Canada.